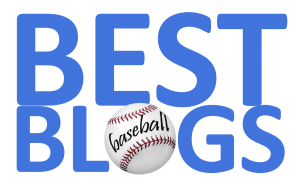 There's been a lot of discussion recently about who should man the 'hot corner' for the Red Sox in the upcoming post-season. After the Spring flop of Pablo Sandoval and the mid-summer swoon of Travis Shaw, it seemed as if duties might fall to either newly-acquired Aaron Hill or super-phenom Yoan Moncada. Well, Hill has hit poorly against righties, Moncada seems baffled by the dreaded 'Uncle Charlie', and Shaw (despite glimmers of hope to the contrary) has not really broken out of his prolonged dive. So, here's an idea—play Brock Holt at third the rest of the way and see if he can respond and win the post-season nod. Why not? 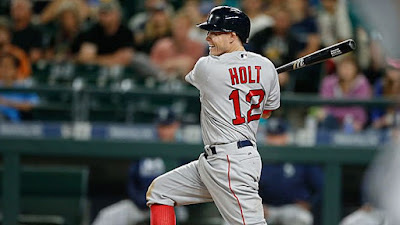 Holt has had sporadic playing time since he returned from the DL, and could probably benefit from more extended work. He might just click and the problem would be solved. Marco Hernandez can offer respite to Dustin Pedroia and/or Xander Bogaerts if they need the rest. Manager John Farrell has hinted at the "Holt Solution" anyway, so let's do it!